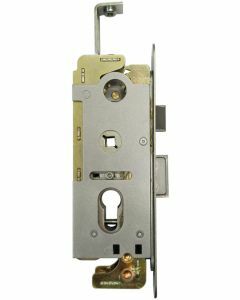 The Union Everest door lock was often found on the Everest aluminium and steel door range they once fitted. 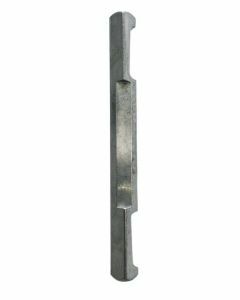 This door lock was very popular and used by many other Aluminium timber and steel door manufacturers and was not solely the domain of the Everest group. The door lock has a centre latch and heavy duty dead bolt which has built into it 2 hardened steel pin bolts to prevent sawing through of the dead bolt by any would be intruders. It comes with a purpose made face plate 28mm wide by 210mm long. This lock can also connect to purpose made shoot bolt rods which ran down the length of the door lock and are bolted into either end of the lock gearbox. As the lock is operated via the door handle spindle the shoot bolts are driven in and out to lock and unlock the door.